The programme of Irish Language events, organised by Fermanagh and Omagh District Council, includes Irish language classes catering for all levels of learners; sean-nós and set dancing classes dancing; talks and discussions; music sessions; concerts and festivals; singing in Irish workshops, plus lots more. 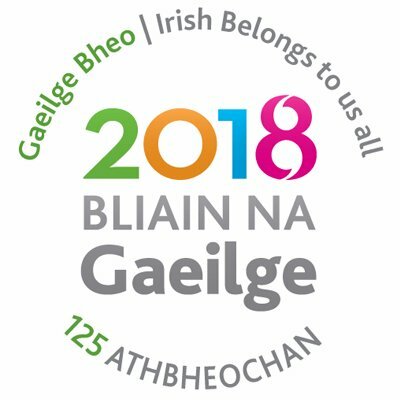 The programme of Irish language events and activities is available to download from the related files panel on this web page. This is a radio programme that FODC Irish Language Development Officer Kevin Goodwin made about Máirtín Ó Gacháin (Martin Gaughan) a travelling teacher with Conradh na Gaeilge (The Gaelic League). He came from Co Mayo to Dromore in 1904 where he taught and promoted the Irish language for four years. Click here to see English and Irish subtitles for this recording. If you would like to sign up to our Irish language e-newsletter, which is monthly, please sign up by clicking here. If you are involved with a local Irish language group and would like to receive information on our Irish language round table meetings (informal networking and information sessions), please sign up by clicking here. Irish Language Classes are available through a range of levels in both Enniskillen Castle and the Strule Arts Centre. Open Mic- Songs in any Language. Night of Drama with local adult Irish Language drama group Aisteoirí na hÓmaí, Gaelscoil na gCrann, Scoil na mBraithre Críostaí and Irish song and dance with local artists. Bursaries from Fermanagh & Omagh District Council are available to support attendance at Gaeltacht courses. They are available for young people aged 12-18, adults aged 18+ and for families with at least one adult and one child. Please note that applications for bursaries are now closed for 2019/20. Information for applications for 2020/21 will be available online in January 2020.